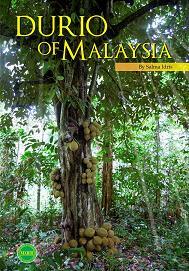 This book contains a complete overview of the occurrence, distribution, status of genetic resources and the taxonomic description of all the 24 species of Durio available in the country. The photographs of the tree, trunk, leaf, flower and fruit are shown if available while herbarium specimens are illustrated for other species. Botanical terms are explained in the glossary or illustrated with drawings for reference.